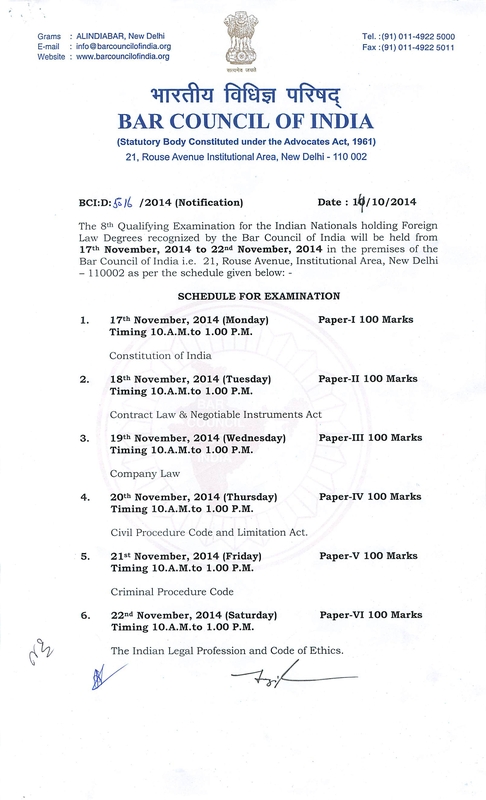 8th Qualifying Examination for the Indian Nationals holding Foreign Law Degrees recognized by the Bar Council of India will be held from 17th Novermber, 2014 to 22nd Novermber, 2014 in the premises of the Bar Council of India i.e. 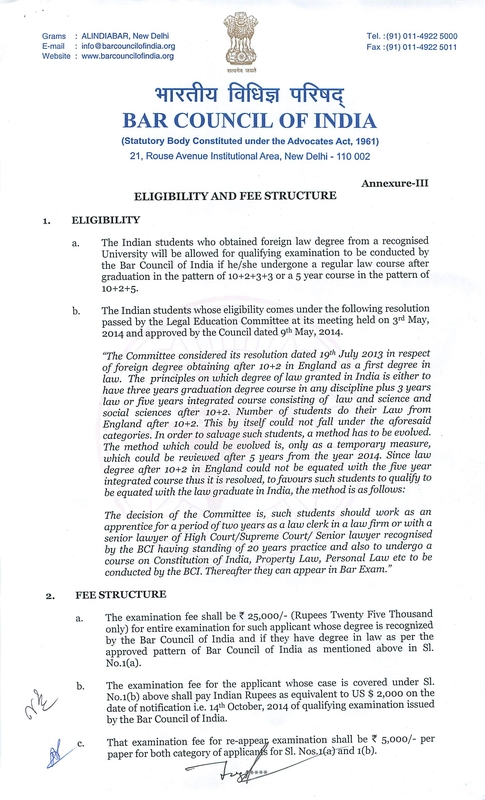 21, Rouse Avenue, Institutional Area, New Delhi – 110002. 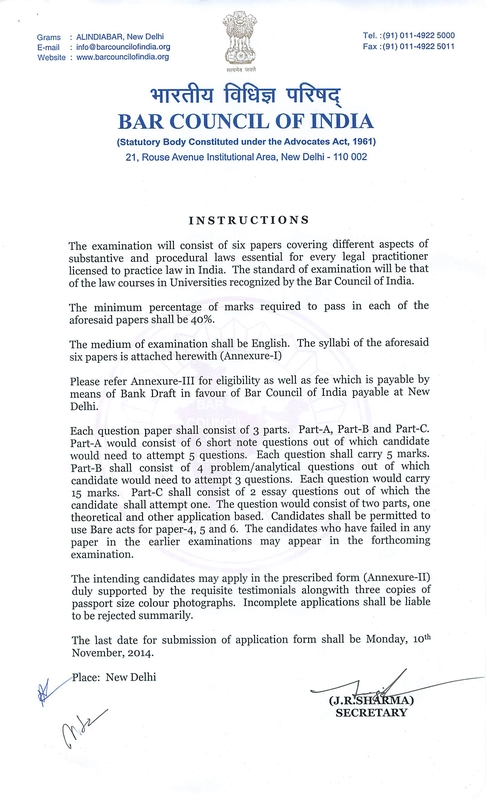 The other instructions are enclosed herewith.